Mystery Fanfare: Robert Loggia: R.I.P. 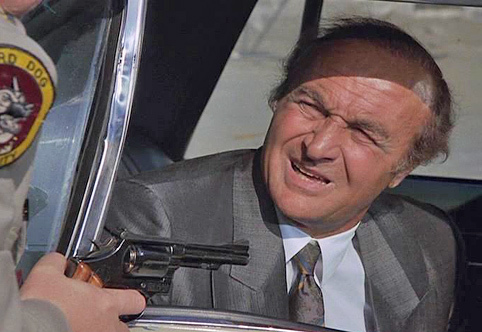 Oscar-nominated actor Robert Loggia, who was known for gravelly voiced gangsters from Scarface to The Sopranos but who was most endearing as Tom Hanks' kid-at-heart toy-company boss in Big, has died. He was 85. A solidly built man with a rugged face and rough voice, Loggia fit neatly into gangster movies, playing a Miami drug lord in Scarface, which starred Al Pacino; and a Sicilian mobster in Prizzi's Honor, with Jack Nicholson and Kathleen Turner. He played wise guys in David Lynch's Lost Highway, the spoofs Innocent Blood and Armed and Dangerous, and again on David Chase's The Sopranos, as the previously jailed veteran mobster Michele "Feech" La Manna. It was not as a gangster but as a seedy detective that Loggia received his only Academy Award nomination, as supporting actor in 1985's Jagged Edge. He played gumshoe Sam Ransom, who investigated a murder involving Glenn Close and Jeff Bridges. Loggia also appeared in five films for comedy director Blake Edwards, including three Pink Panther films and the dark comedy S.O.B. In 1966 Loggia had the rare opportunity for stardom, taking the lead role in the NBC television drama T.H.E. Cat. He played a former circus aerialist and cat burglar who guarded clients in danger of being murdered. When the series was canceled after one season, however, the distraught Loggia largely dropped out of the business for a time.